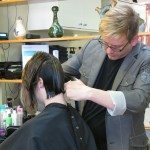 Men and women agree that the award-winning hair services at Michael Anthony Salon start with a great stylist. Each and every Michael Anthony Salon stylist was expertly trained at the start of his or her career and, because of Mickey Bolek’s commitment to ongoing professional development for every member of his team, has continued to receive up-to-the-minute education in styling, color and conditioning techniques and the latest fashion trends. The perfect hair style begins with a perfect cut. 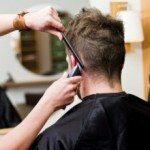 The professional stylists at Michael Anthony Salon will work closely with you and your hair to find its best shape. 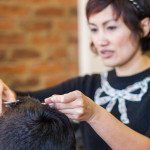 Hair type, volume, texture and your own routines and daily hair care preferences are all taken into consideration when deciding on a new or modified haircut. 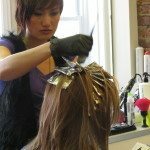 A variety of hairstyles can be produced from a single haircut with the use of different blow dry techniques, styling and/or texturizing products, use of curling or straightening tools, and other personal touches. 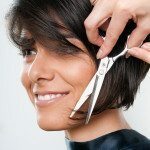 Ask your stylist to help you find ways to go from daytime to evening, or from casual to formal with a flick of “this” or a dab of “that.” We love to help our clients learn new ways to enjoy their hair. Color treatments range from full single-color processes to full or partial highlights to trendy ombre and balayage treatments. 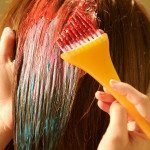 The stylists at Michael Anthony Salon are color professionals in whom you can place your trust. Conditioning treatments are just the thing for hungry, thirsty hair. Add some pampering to your next hair appointment with a special moisturizing treatment for even longer-lasting results. For our clients with color-treated hair, we highly recommend including Olaplex in your hair coloring treatment, to restore and even improve your hair’s natural strength and health. 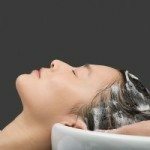 “Wonderful salon – great shampoo and conditioning treatment. Whole experience was tops!” – Mary E.
Smoothing Treatments by Brazilian Blowout. This smoothing system is the perfect solution for smoothing out your curly, wavy, springy, frizzy, or just plain hard-to-manage hair – for approximately 10-12 weeks! We absolutely love it and our customers tell us they are ecstatic with the results. Ask for more info! Hair Extensions add length and fullness to short or limp hair. Extensions can also be used to add a bold splash of color to fit a mood, match an outfit, or make a colorful personality statement. At Michael Anthony Salon, select stylists are certified in the application of safe and comfortable Dreamcatcher extensions. Or try our Hot Heads extensions for a super-easy application and removal experience. Ask for more information. See our complete pricing schedule for an overview of service pricing. To view individual stylist rates, please visit the individual pages of Mickey Bolek, Da Raborn, Collin Sims, Kendra Vasquez , and Gerald Armstrong, call the Salon at 202-506-3609.